Long time never go for hair cut since my hair color change to dark brown in this early of year. 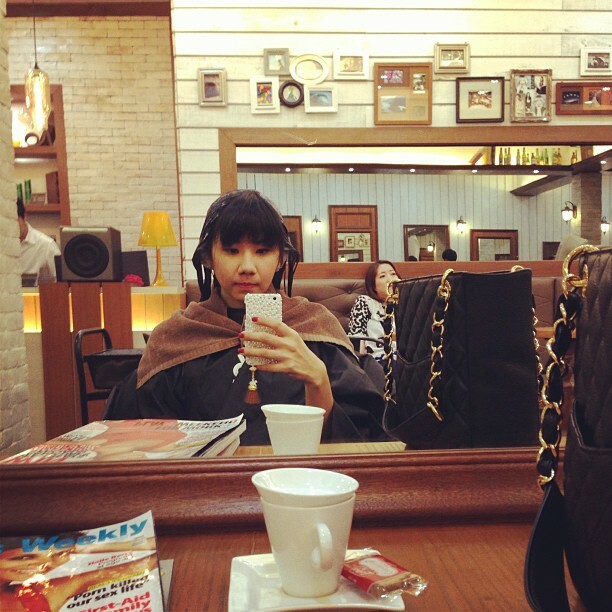 Being tired and boring since i visit same salon (Centro) every times , this time i got to change my mind! 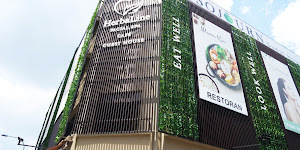 The famous salon recently, why famous? They involved or as sponsorship in a lots of fashion event, TV commercial program, ViVi Magazine etc. 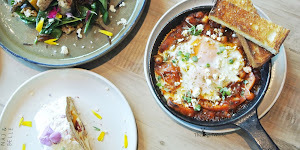 And yes, they did well in this! 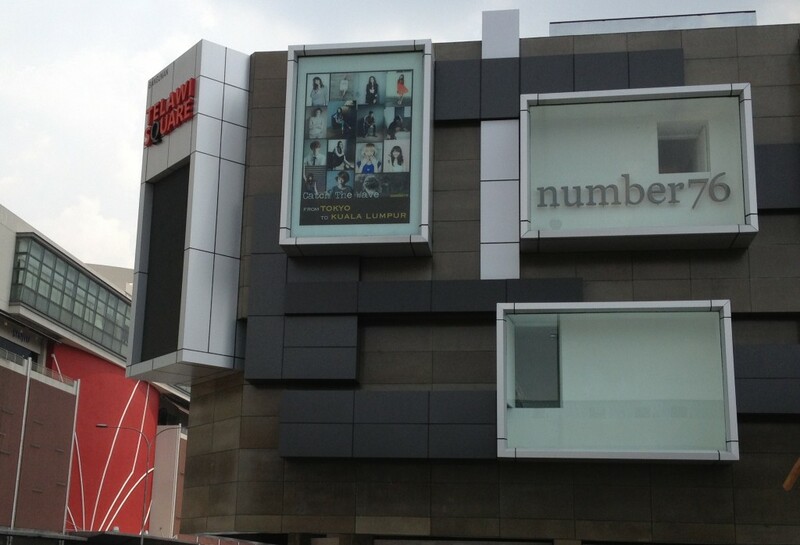 Number 76 founded in January 2011 by a Japanese entrepreneur in Kuala Lumpur and a leading hair stylist from Omotesando, Tokyo. 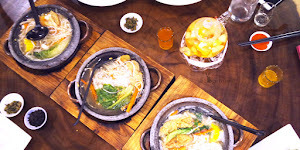 I went to Bangsar branch , because i like their vintage and warm color interior design. 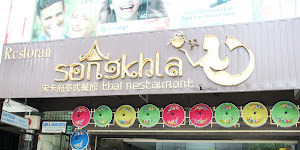 Looks like a cafe right? 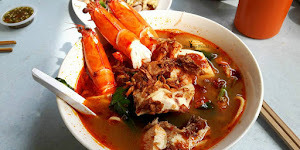 It is located at the new building(Telawi Square) in Bangsar Telawi street , just opposite of Bangsar Village II and same row with restaurant Cawan . First week, i went for my hair cut. Second week, i went for my rebonding hair do. I went for hair coloring. I am wondering what's color is suitable for me besides of black or darker color. Like the word on my sweater haha! 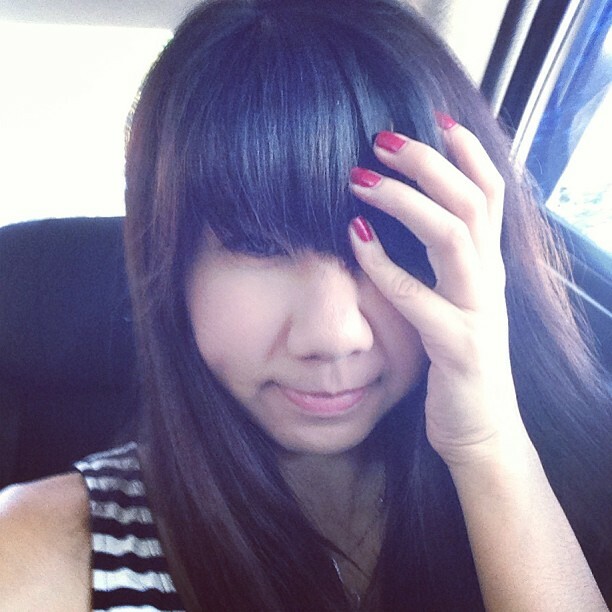 Because of i do a lots of chemical on my hair, it is damaged. 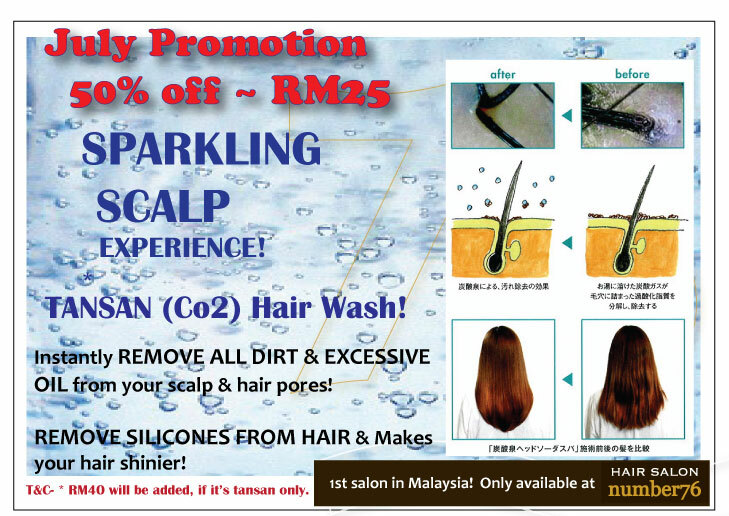 Yoshi suggested try this new service in their salon malaysia and it is one of the popular hair services from Japan. 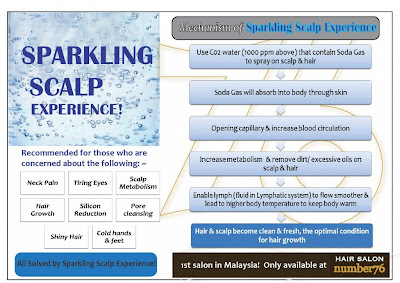 It is called the Sparkling scalp experience or “Tansan 炭酸” in Japanese. This is a simple scalp and hair treatment, which is done over the basin in a few minutes time. Soda or Co2 is added into the water as we wash your hair. 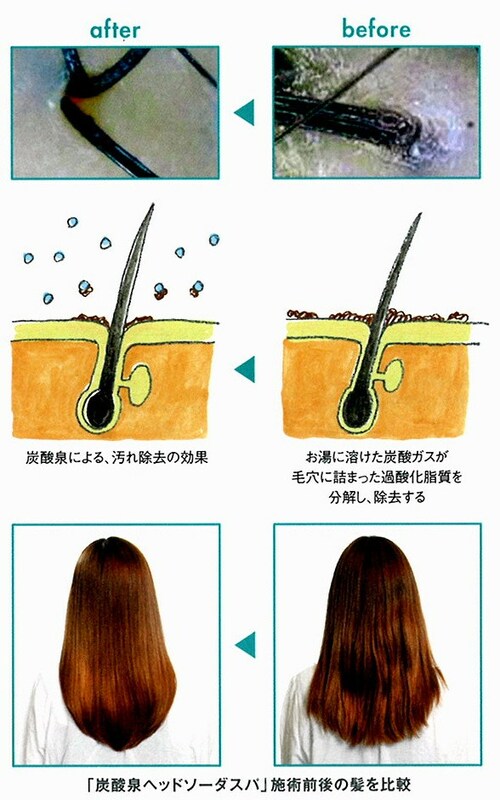 It helps to remove the dirt and excessive oil from your scalp & the silicon on your hair. And i did try it, hair stylist will show you the dirt that from your head in a clear glass after that. My hair scalp turn to white color which is show "clean" signal to me. This is very good detoxing for us especially always do chemical hair do or apply wax etc on hair. 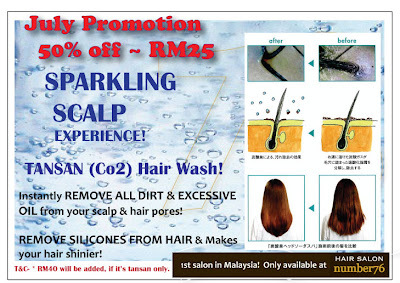 Now they have July Promotion which is only need RM25 and you can enjoy this awesome and fastest (only need 5 minutes) deep cleansing on your scalp. 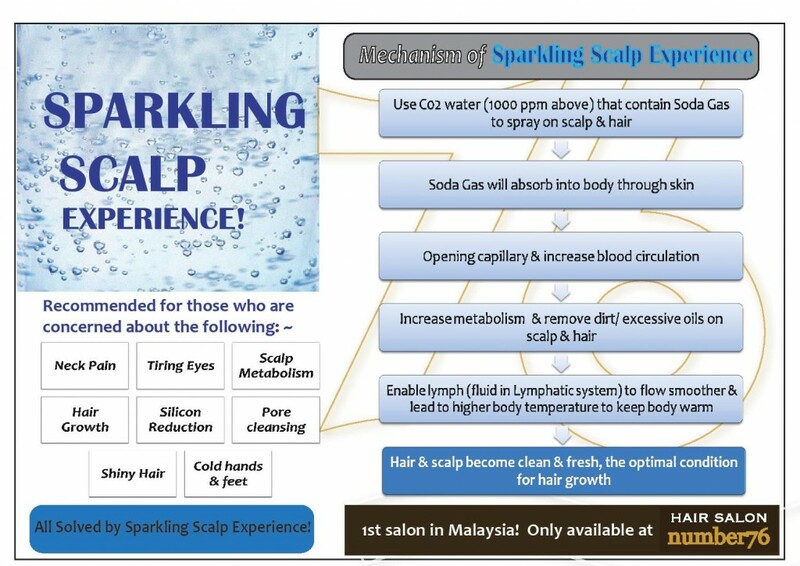 Remarks: If you’re doing only this treatment without other service, you need just to top up extra Rm40 for hair wash service. Hurray up! go to check it out and pamper your scalp. After doing Tansan, i took another 5-10 minutes to finish my treatment. Correct, 5-10 minutes for hair treatment, you are doubt on the final result right? you can see from my picture, before i do this treatment, my hair can't even comb well after washing. After i did it, it can and well comb. Hair treatment name Prosynergy, PGS (Repair) , RM160. Bangsar Baru, 59100, Kuala Lumpur. 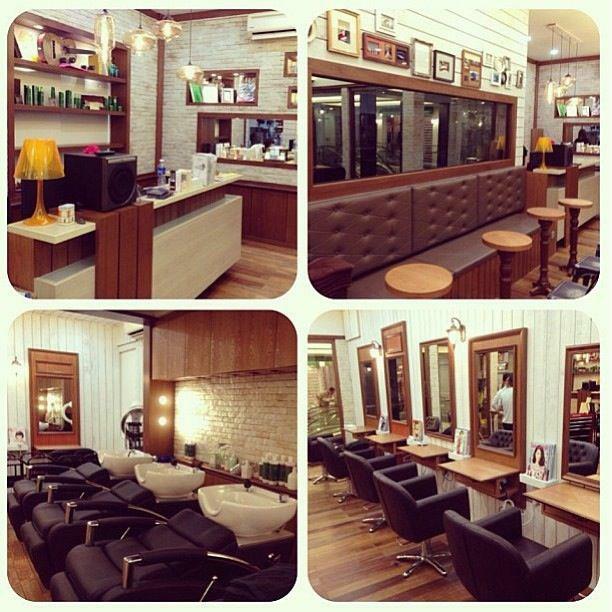 Operation hours: 10.30am to 7.30pm (Close on every Monday) Last appointment at 6.30pm for haircut only. hi! 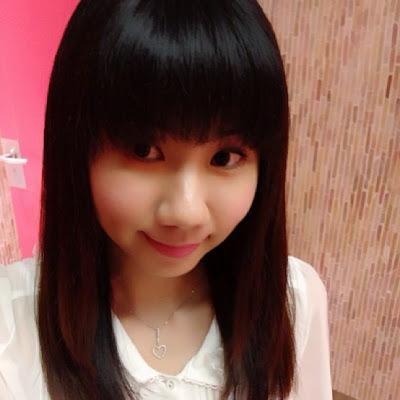 i wanna ask, the rebonding at number76 looks more natural?